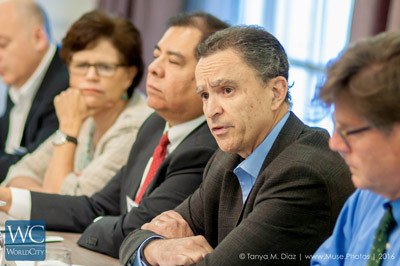 New Frontier: HR leader as executive coach - WorldCity, Inc.
After 30 years in human resources, Daniel Loria was looking for a new challenge. He sought something to boost his professional fulfillment and even provide a legacy. “The answer came through coaching,” he said. Loria now is Chief Human Resources Officer at global telecommunications leader Millicom International Services. 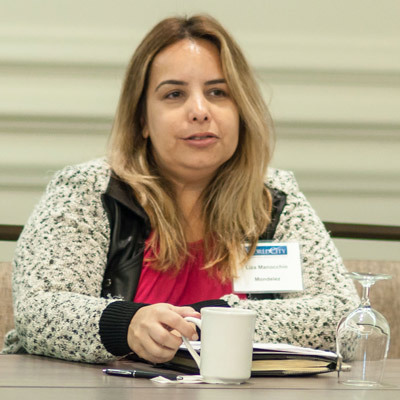 He led the discussion on coaching at World City’s HR Connections held Jan. 20 at the Hyatt Regency Coral Gables. For Loria, internal coaching offered a new platform to add both value to his company and his career. “It’s a strong commitment, but it will change your life,” he said. It’s also a growing field, as every HR leader present raised their hand when asked if their company had some form of coaching. Enabling people to find their own solution and find their own path. What it’s not is therapy, consulting or mentorships, he told the group. Questions arose on whether to use in-house or external coaches. Most HR leaders present said their companies use both. It can take a lot of investment for a company to build a system of internal coaching. At Mondelez International, concerns about internal coaching have been reduced by allowing employees to choose if they want to talk to a coach. Leaders offer three to five hours in a dedicated “Growing Week,” and employees sign up if they want to speak to that leader. The approach gives the comfort and safety of an external coach, even though the leader is technically internal, explained Liza Manocchio, Director of Talent and Organizational Effectiveness at Mondelez. As coaching as become more prevalent, it’s evolved from a stigma into a badge of honor, said Tom Shea, President for the Caribbean and Florida at Right Management. In the past, employees who were bright might advance, but if they weren’t leading well, they’d get HR coaching offsite. The mindset then was “Don’t want anybody to know I’m being fixed,” Shea said. Now, coaching is seen instead as a perk, because “We, the company, feel you are worth investing in,” Shea said. Vulnerability is important in coaching too: “The moment you become defensive, you’re in big trouble,” Loria said. “How did you assess all the programs that were out there?,” asked Karen Saravia, director of human resources for Tiffany and Co. in Latin America. 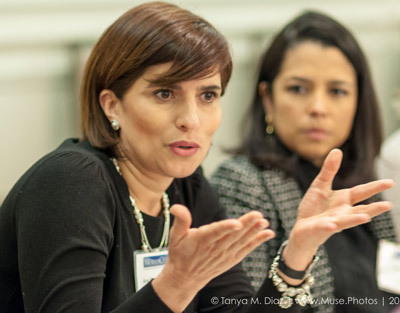 Isabel Montes of Starbucks, Karen Saravia of Tiffany & Co. and Maria Morales of Citigroup. 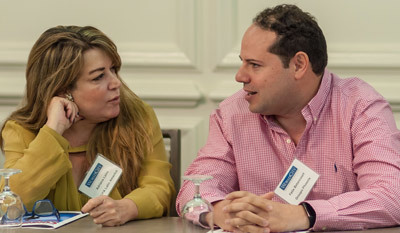 HR Connections is one of four event series organized by WorldCity to bring together executives in greater Miami on international business topics. The HR series is sponsored by retained executive search firm Diversified Search, career and talent management specialists Right Management and law firm Littler Global.